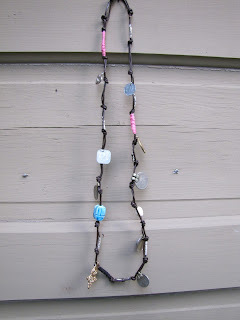 Factory 506: DIY Jewelry Making...Again! 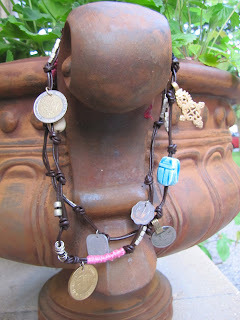 I am on a roll with the DIY jewelry making! I can't stop myself, I just love making jewelry and am still not tired of working with my coins. 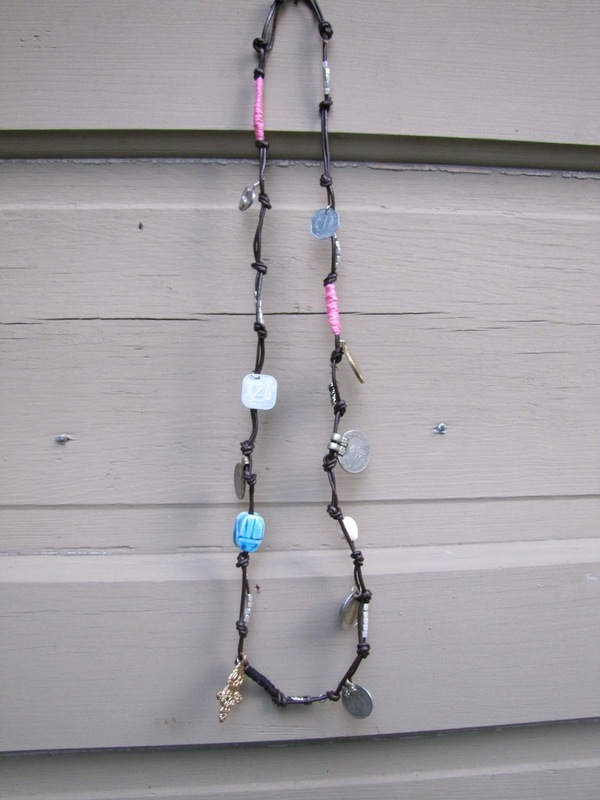 This time I have made a gypsy lucky charm necklace. I am a BIG believer in lucky charms...when I "feel" like they are working. When they are not working, I totally do NOT believe in them. As my husband says, I am consistently inconsistent. For this necklace, I just tied two pieces of leather cord together and made knots to hold the various coins and charms in place. That blue charm is a scarab from Egypt, there is a lucky skull and some other gold charm that I figured must be lucky since I found it. I wrapped some pink string around the cord where it looked like it needed color. I used the same wrapping technique that I used here. 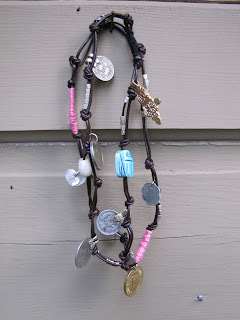 I can wear it as a long single strand or I can double it up and wear it shorter. 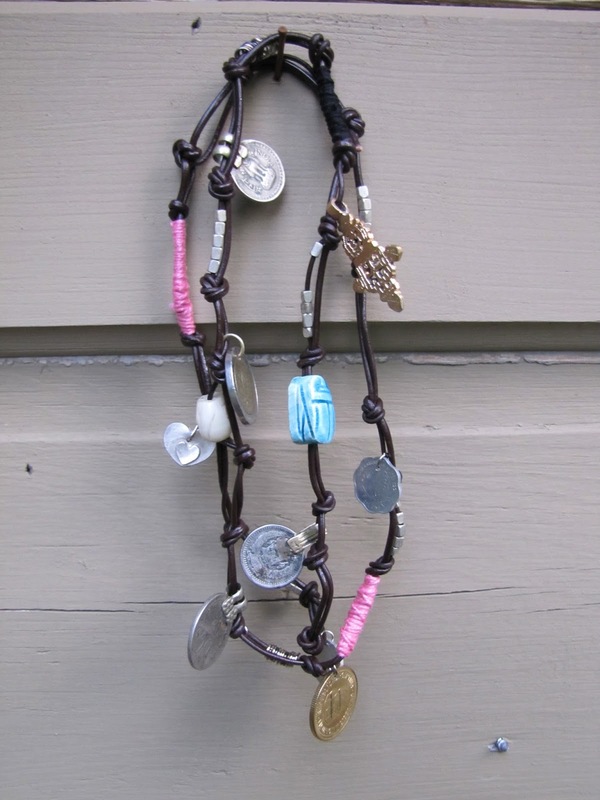 Do you like making jewelry? Do you ever see a piece in a store and think to yourself "I can make that"?